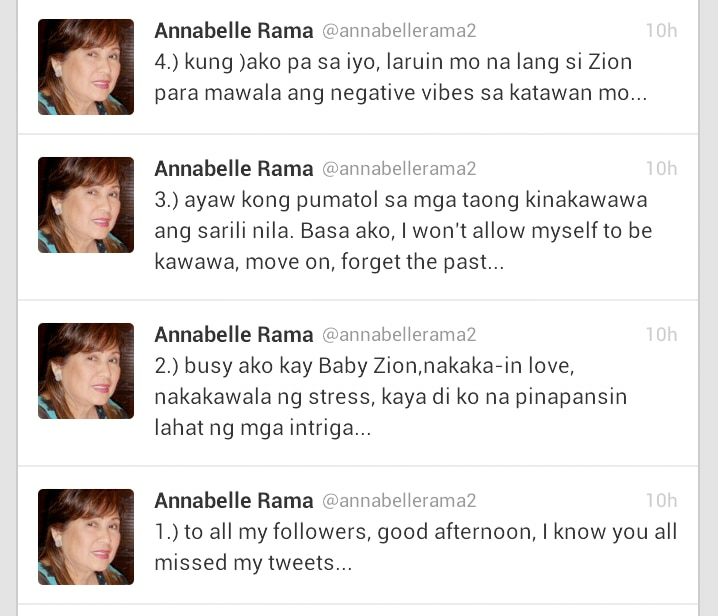 Feisty talent manager Annabelle Rama took to her Twitter account on Wednesday to air her side on the issue brought up by Esther Lahbati, Sarah Lahbati’s mother, over how she was treated at the recently-concluded birthday and baptismal of their grandson Baby Zion. A day after the star-studded double celebration held in Wack Wack Golf and Country Club on Sunday, Esther, via a post on her Instagram account, revealed “the truth” about how she was treated at the event. “The Truth! 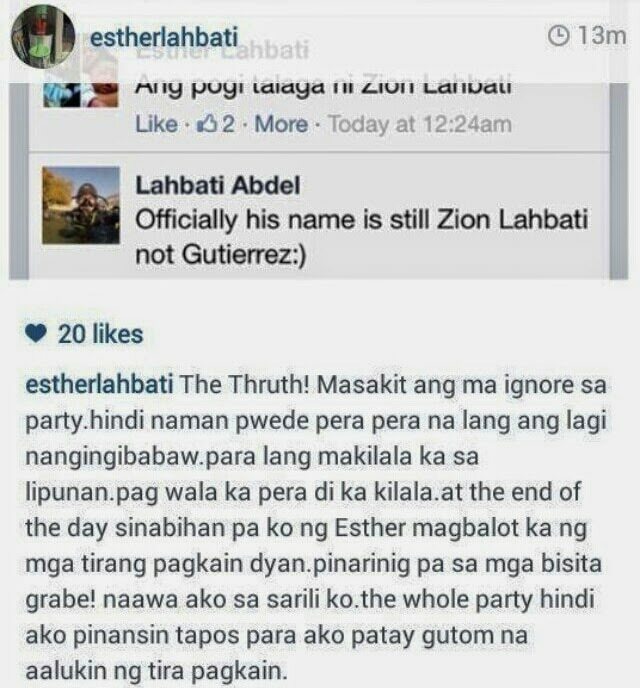 Masakit ang ma ignore sa party,” she began. But what seemed really got to her was when she was supposedly embarrassed in front of the guests. “At the end of the day sinabihan pa 'ko ng, 'Esther, magbalot ka ng mga tirang pagkain dyan.' Pinarinig pa sa mga bisita, grabe! Naawa ako sa sarili ko. 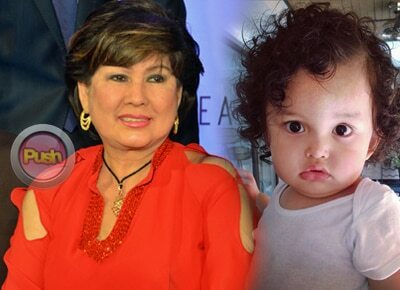 The whole party hindi ako pinansin tapos para ako patay gutom na aalukin ng tira pagkain,” she recalled. The posts though have already been deleted as of this writing. 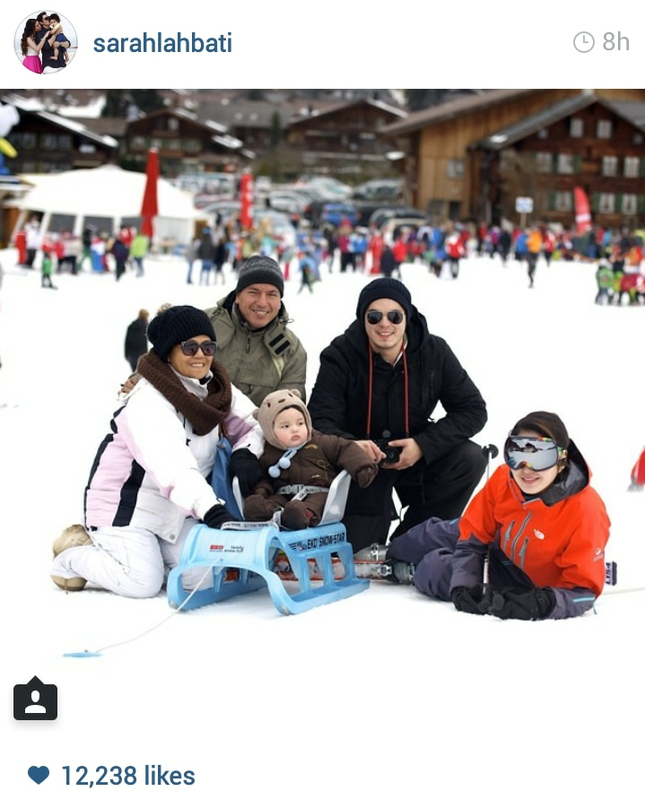 Just an hour after her mother’s post, Sarah and Richard posted an identical photo with the former’s parents while in Switzerland with matching statement recognizing how both their families have gone through a lot over the past year. "We have gone through a lot in the past year and a half. Both the Lahbatis and the Gutierrezes had to go through lots of obstacles and sacrifices to be able to help Chard and I deal with our problems. 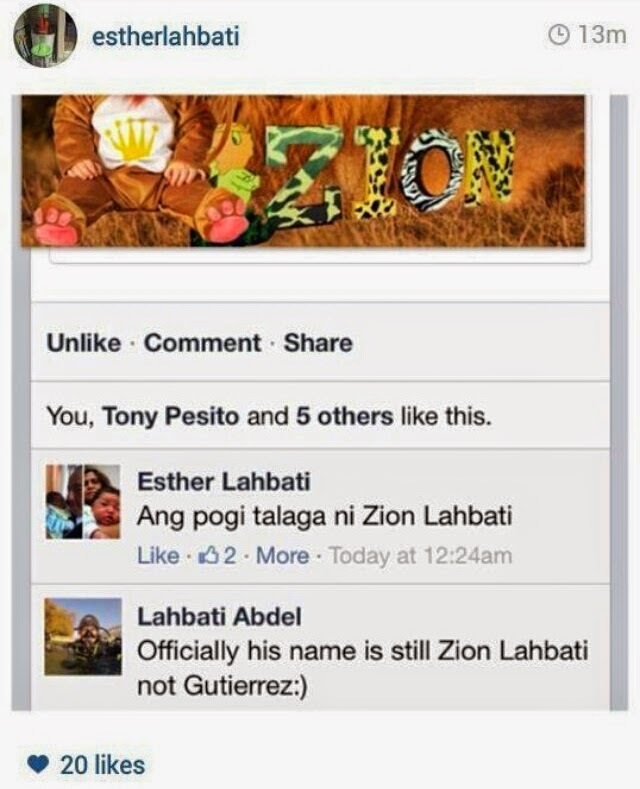 "Now that all the dust has settled, everyone is happy that we have a new family member, baby Zion. ?? He is such a blessing to us. Zion has brought so much joy to our lives, everybody wants to spend time with him. "Like any other family we have misunderstandings but we will settle this internally and we will move forward. I hope that we can all live in harmony. Accept, support and understand one another for the sake of baby Zion... ?" they wrote.